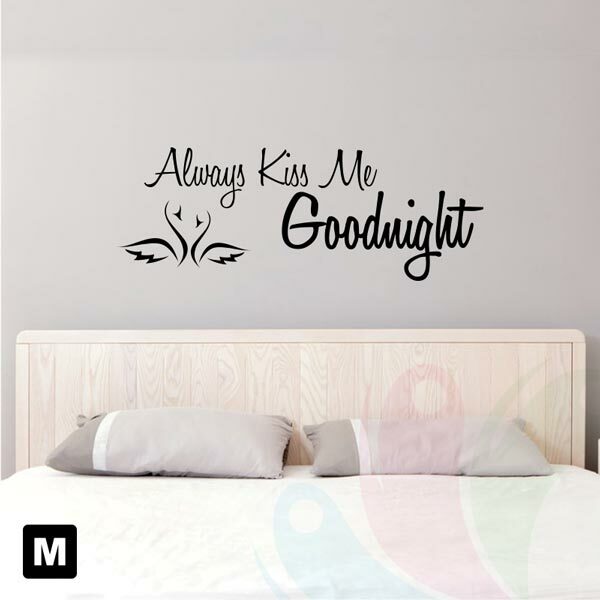 Size Choose an option40" x 14.5"30" x 11"18" x 6.5"
The “Always Kiss Me Good Night Decal Sticker” is a popular wall decal with a unique feeling. 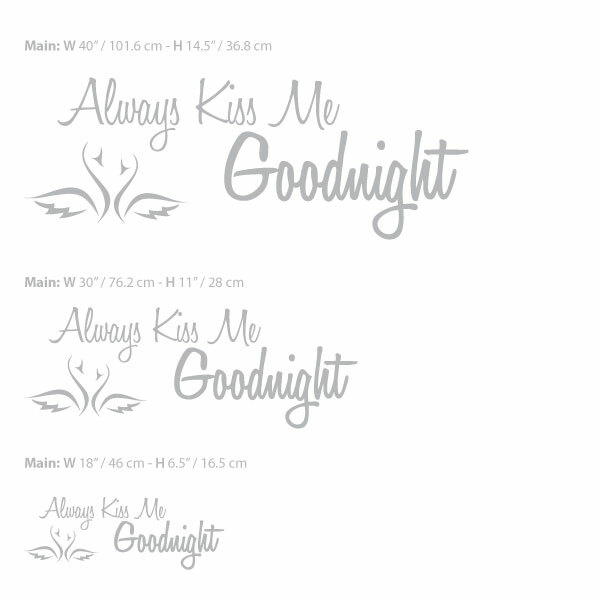 As all printed decals and wall graphics it’s easy to install and comes with step by step instruction. 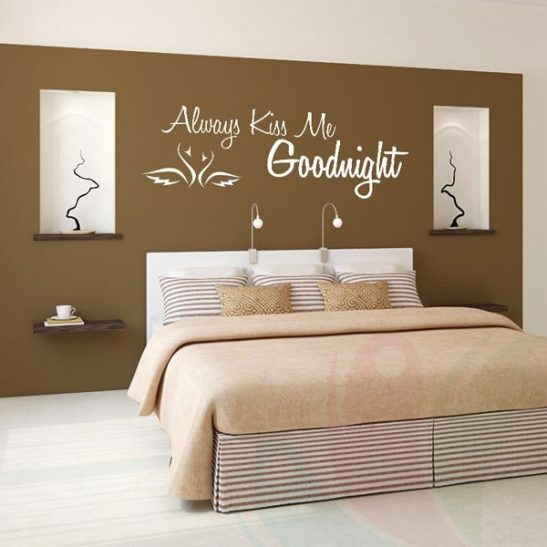 The decal is cutout without the background and comes with a transfer tape that hold it all together and for easy installation. 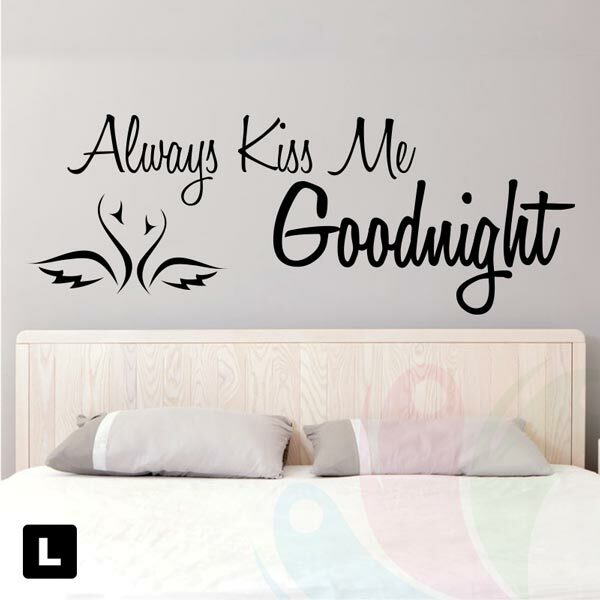 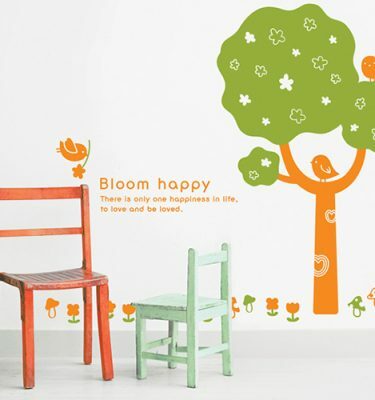 Making all creative quotes as a beautiful wall decal. 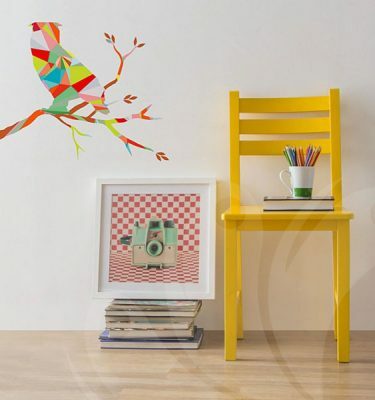 CREATIVE is in our name and we are constantly on the look out for new inspiration. 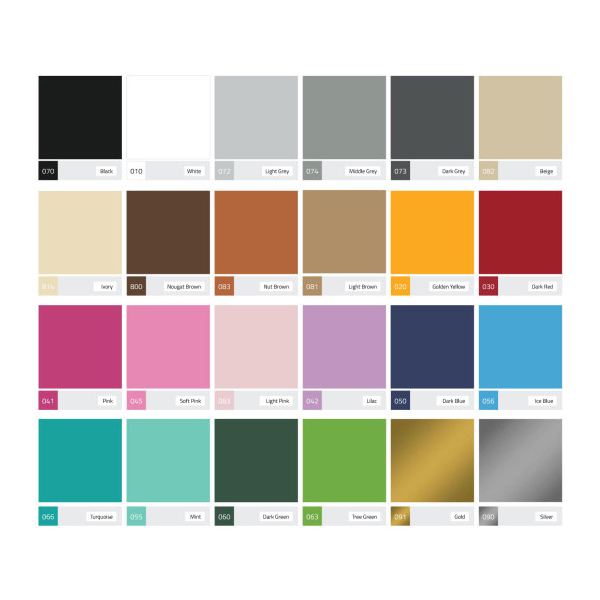 40" x 14.5", 30" x 11", 18" x 6.5"